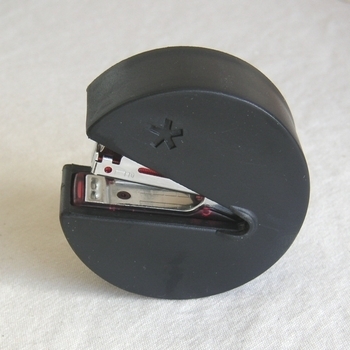 Inspired by the world's most recognized video game, stap man is just waiting for your squeeze to start stapling away. Put this cheery stap man stapler on your desk and turn it into his battle field. Once you get going, you will find it hard to stop. When the mission is accomplished, you can move him on to your friends' desks! But be careful - once your friend touches your stap man, don't count on seeing him again!